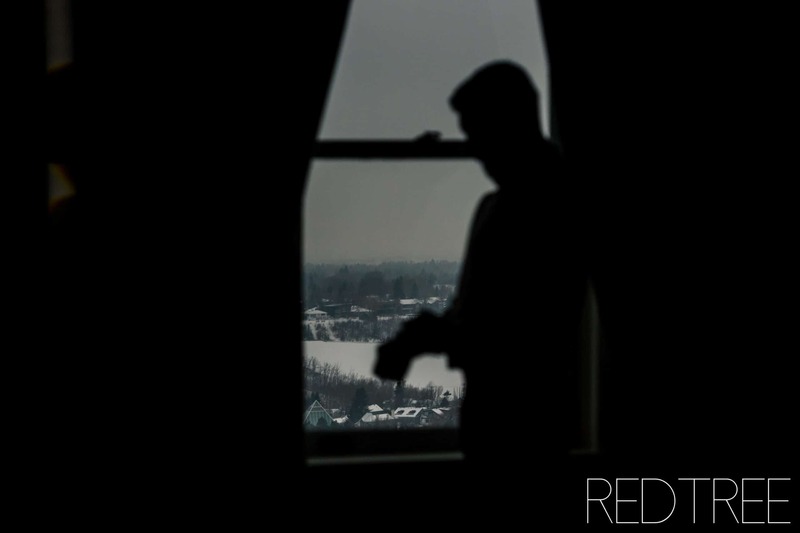 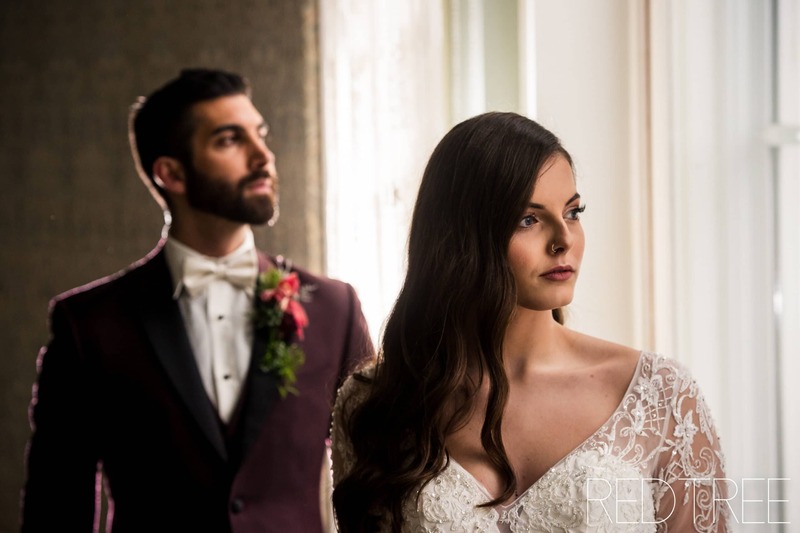 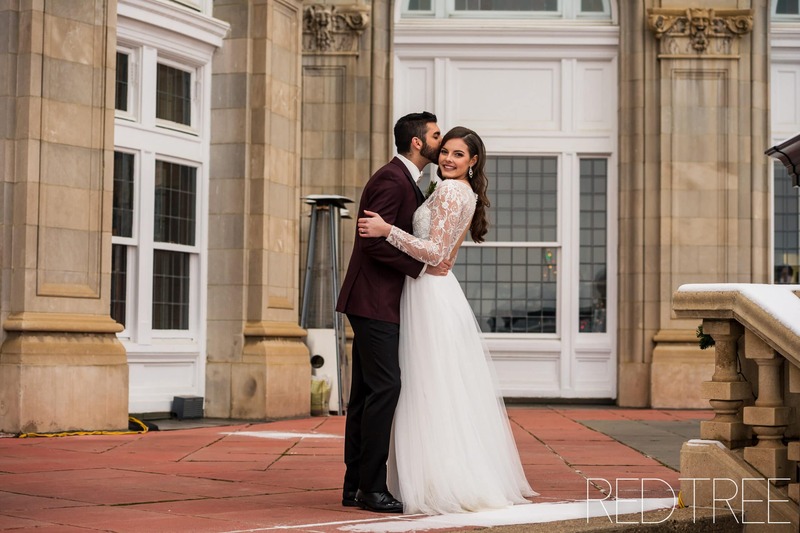 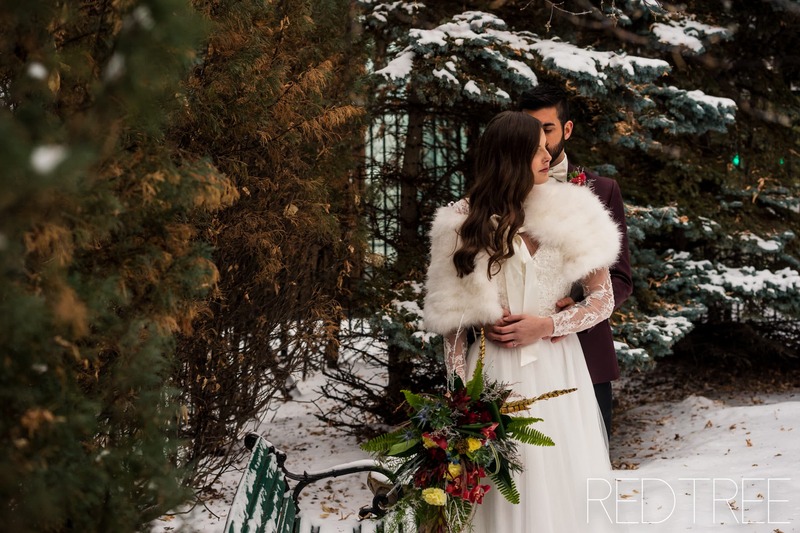 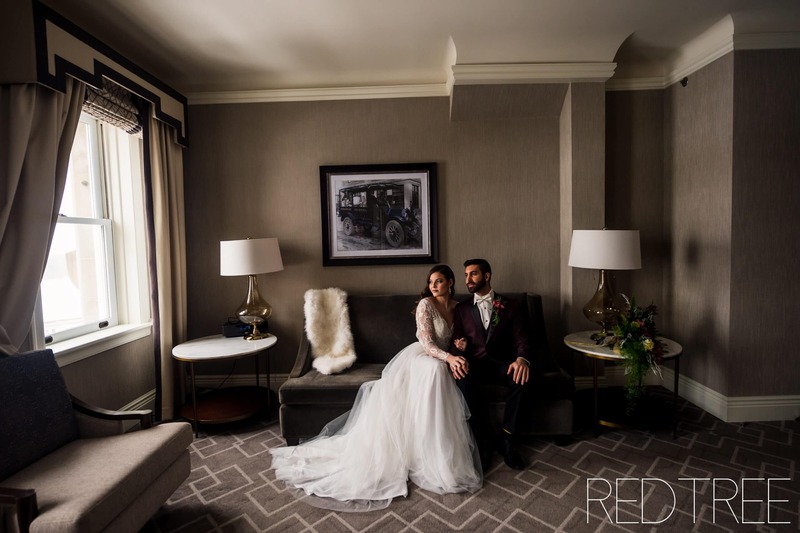 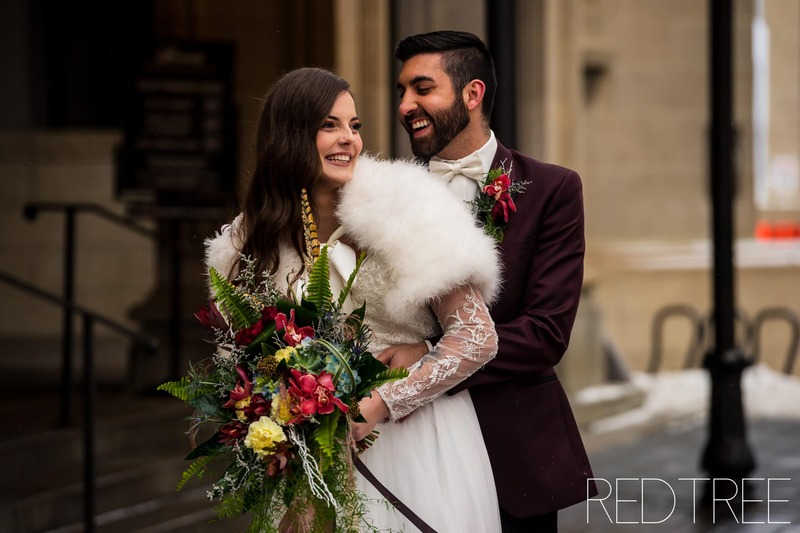 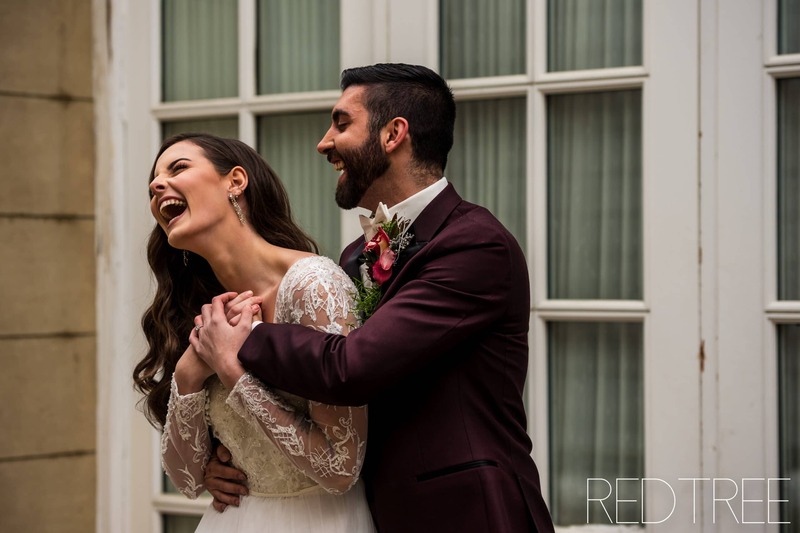 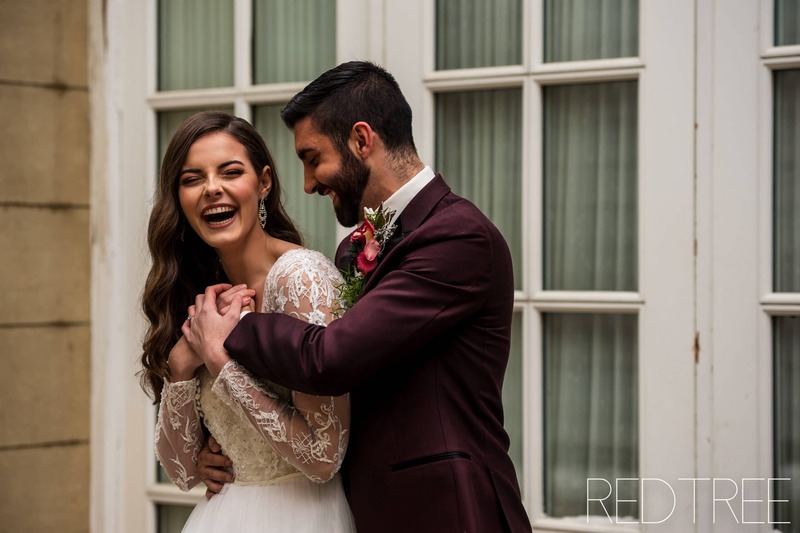 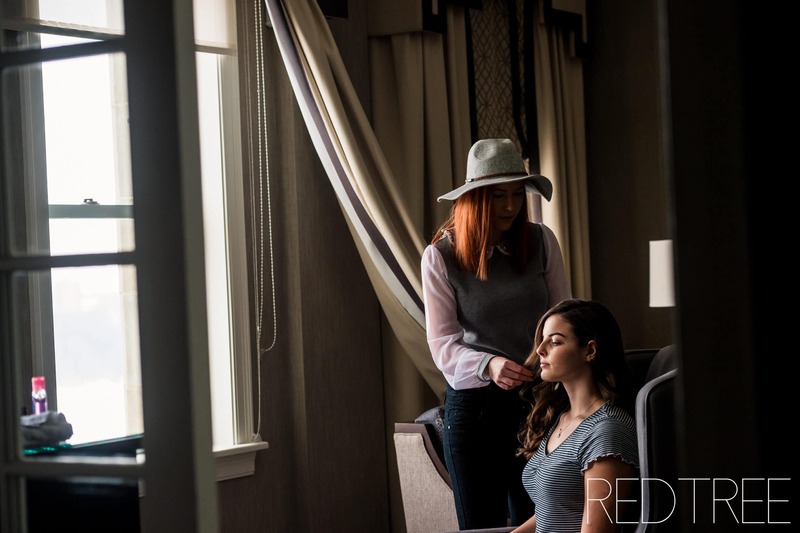 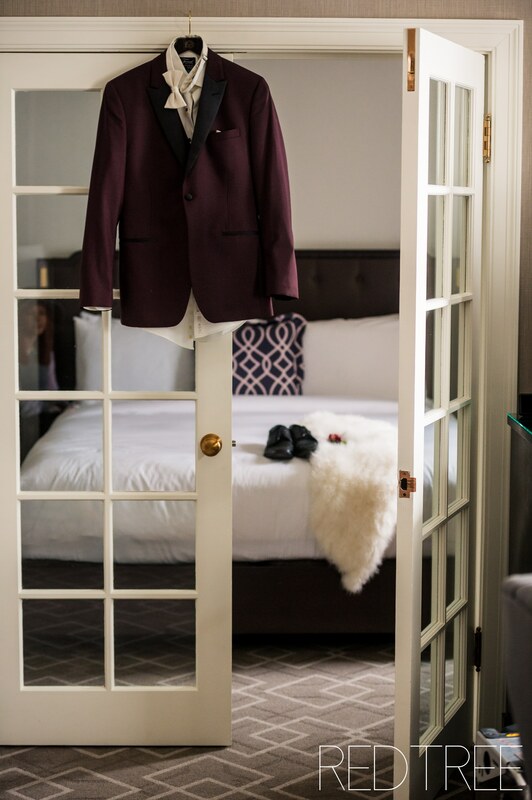 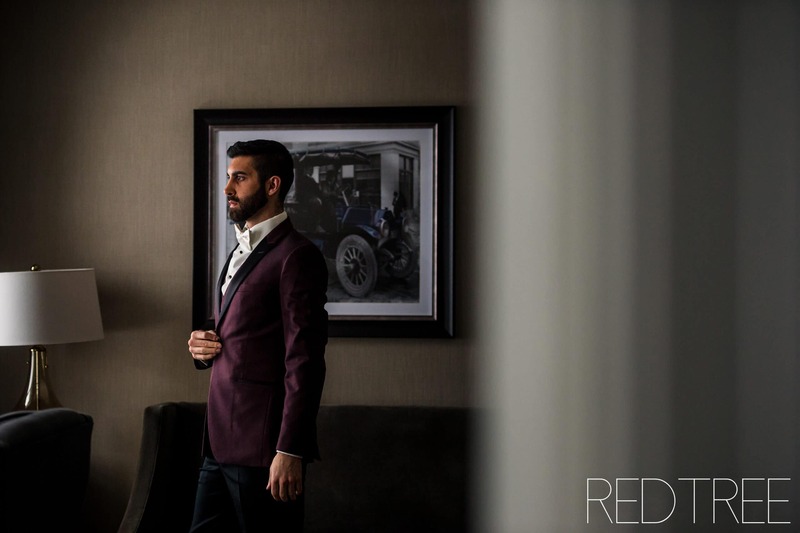 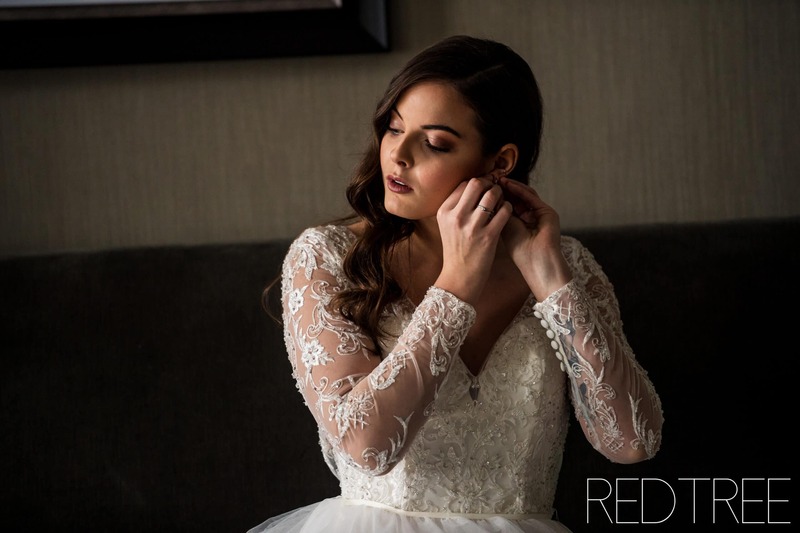 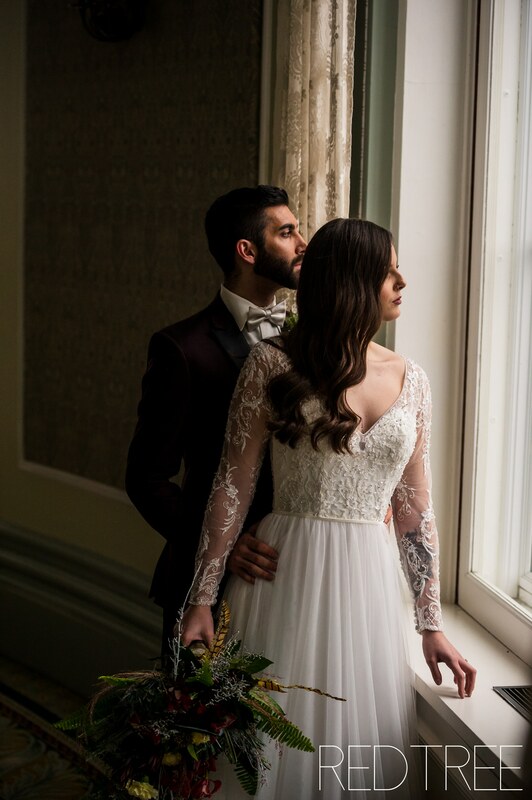 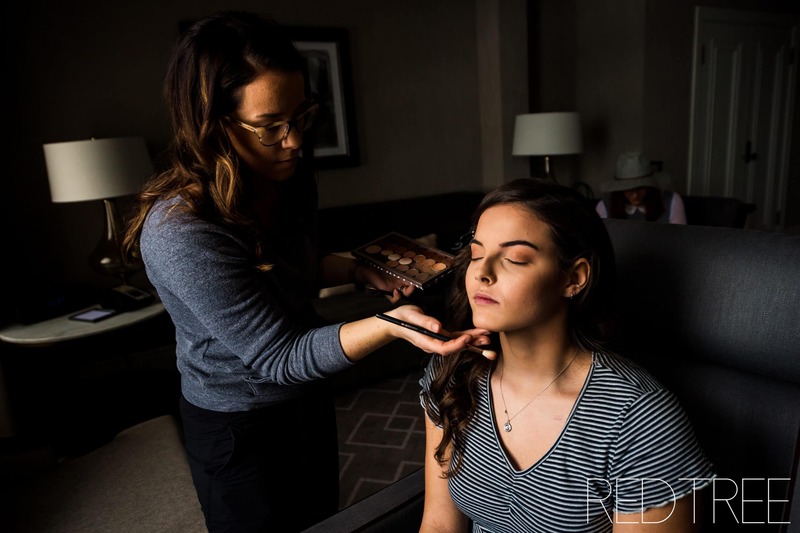 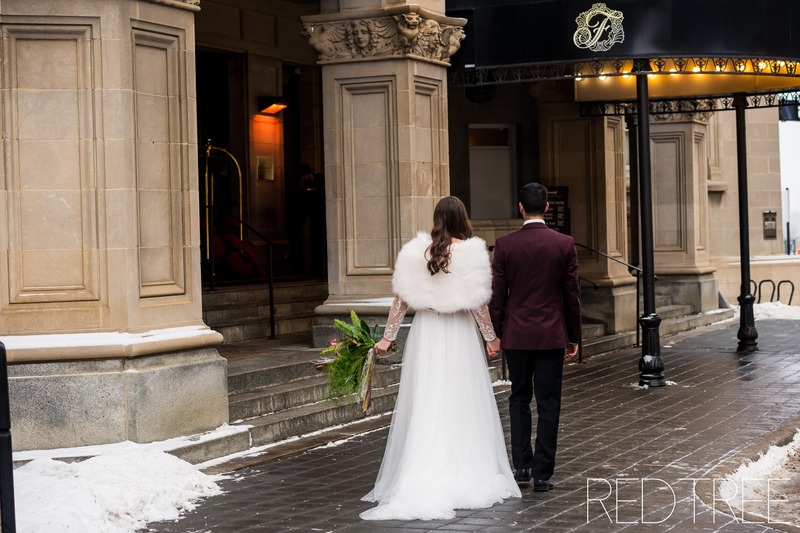 We wanted to feature the ideal winter elopement – one that took place in one the most prestigious Wedding Venues in Edmonton, the Fairmont Hotel Macdonald. 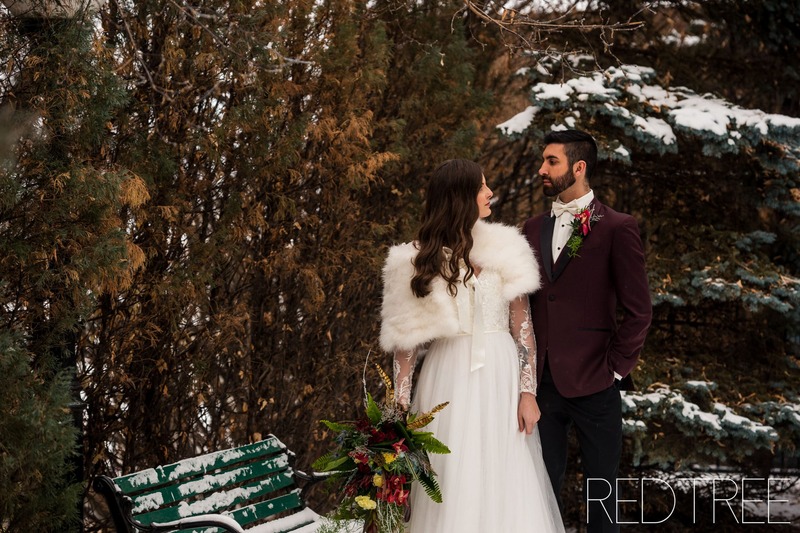 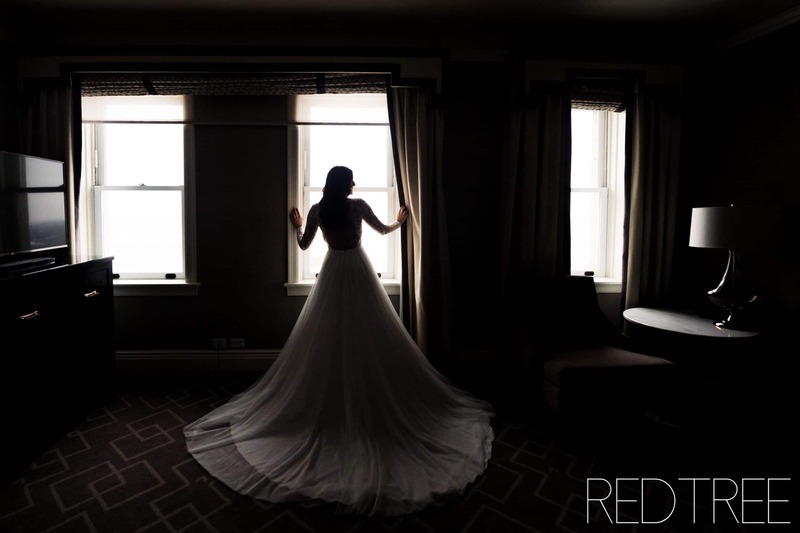 When a bride chooses to get married in the winter, they are often searching for a venue with both indoor and outdoor options for their photographs. 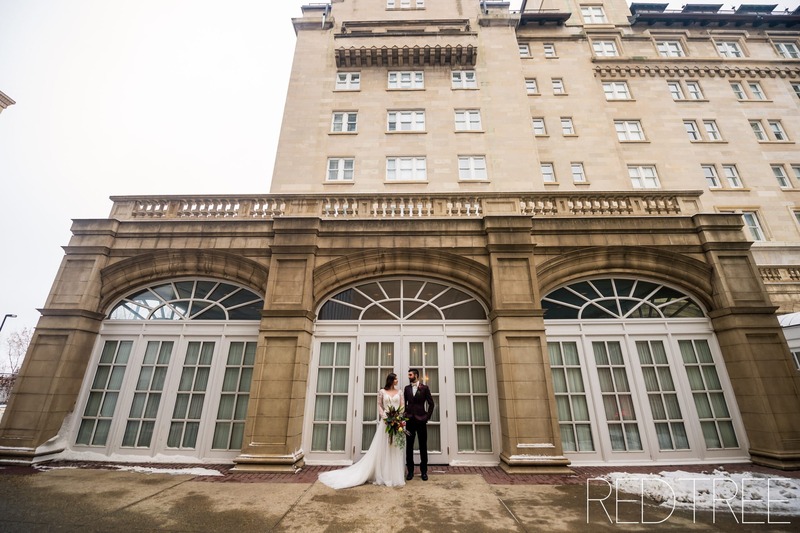 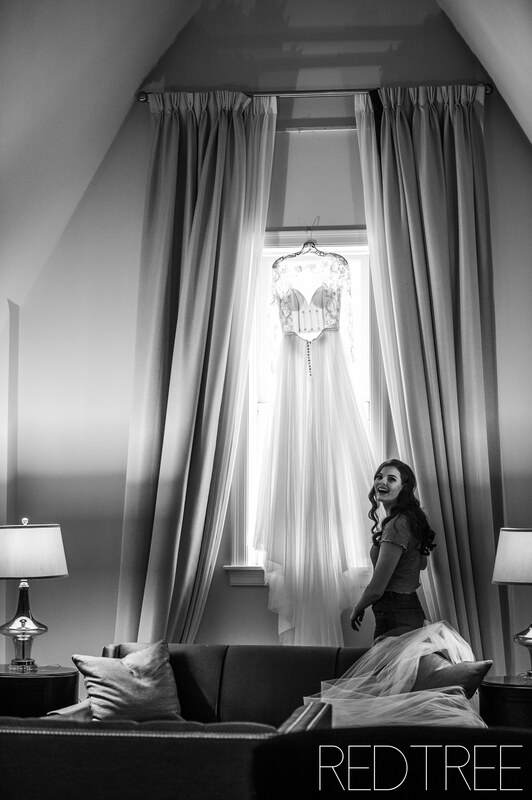 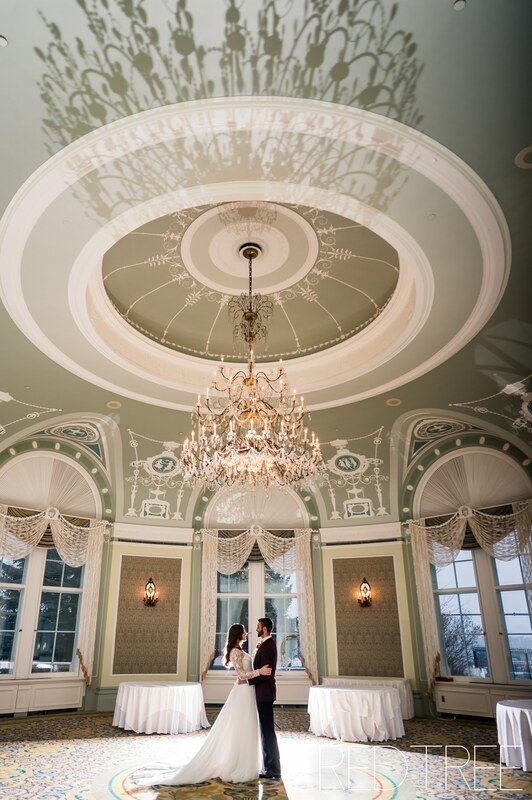 The Hotel Macdonald is known for its elegant hundred-year-old ballrooms and epic views of Downtown Edmonton. 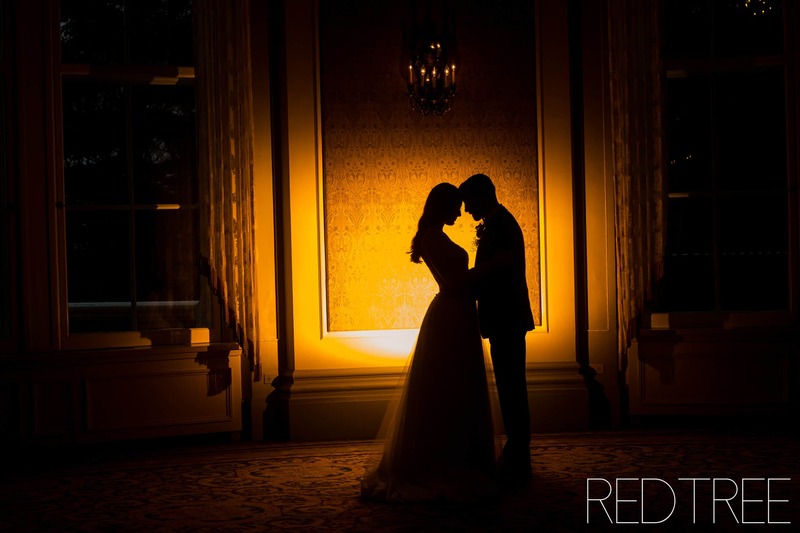 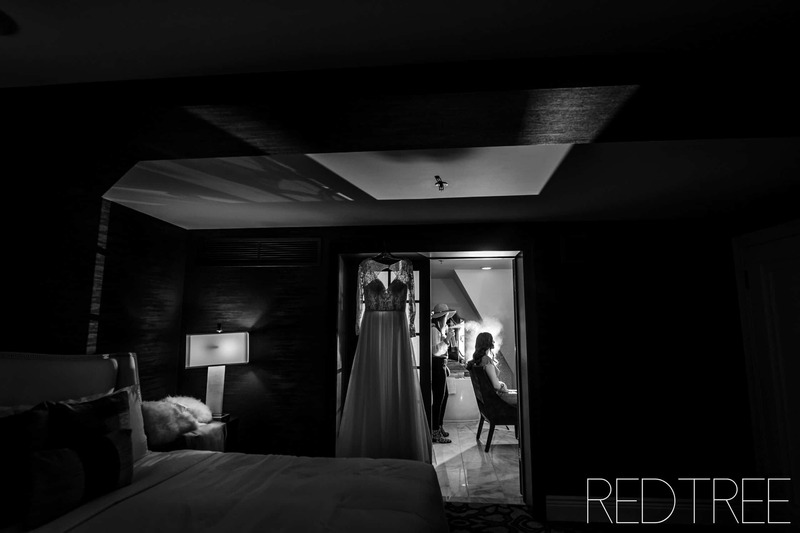 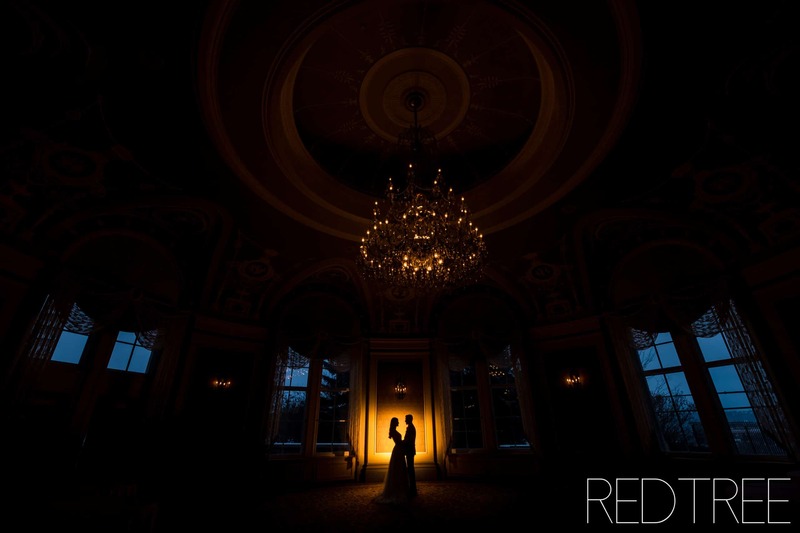 For a photographer like myself (Amy Moedt, RedTree Photography) this venue fit our vision perfectly. 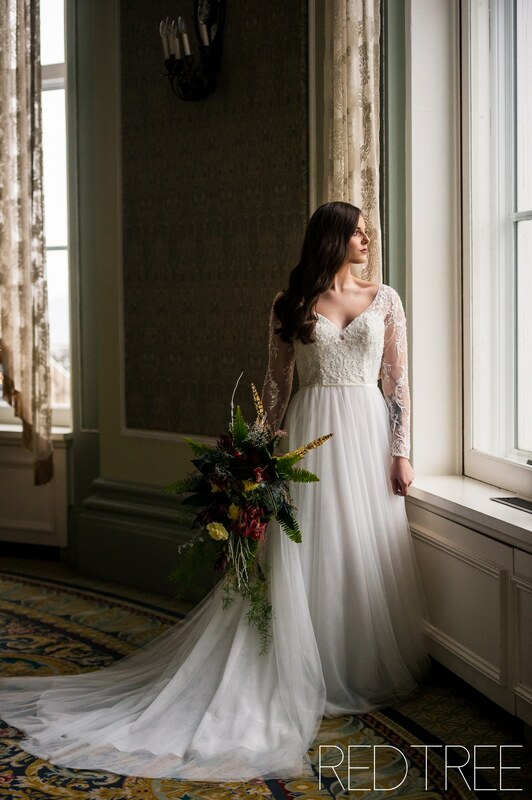 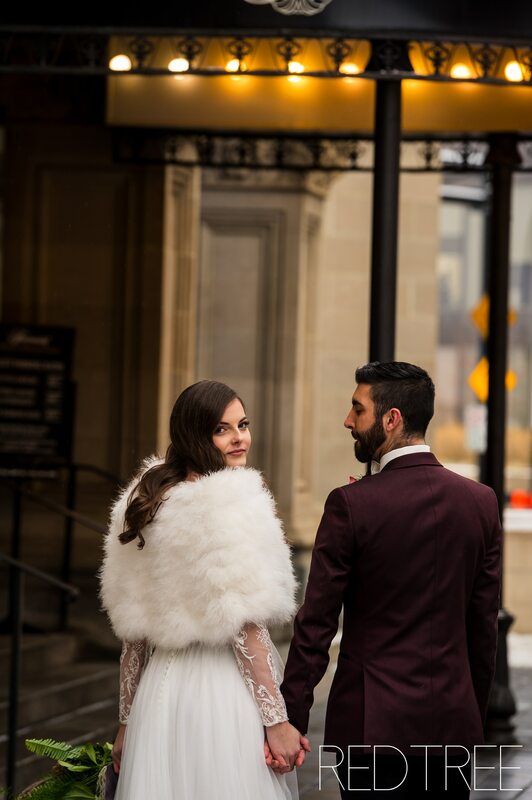 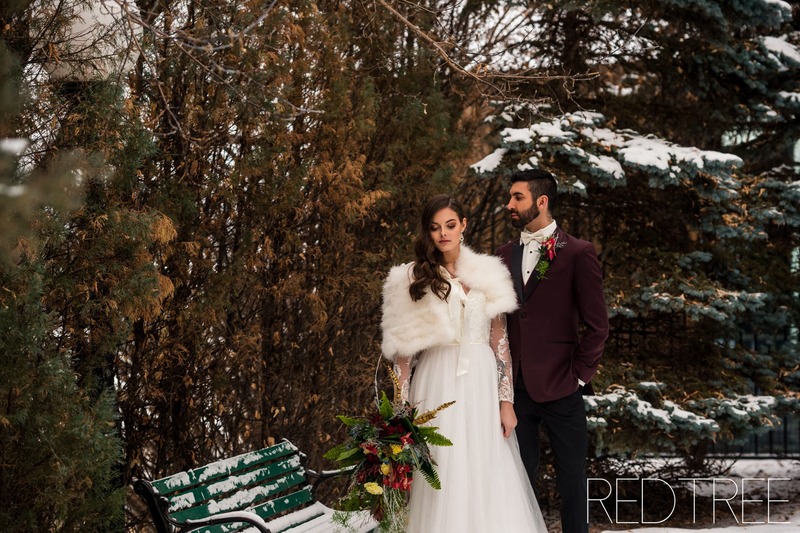 Our team of vendors hoped to create a Winter-Wonderland meets Classic-Elegance Elopement, from our bride (Grayli Marshall)’s glamorous finger-waves (styled by Shantel Saitz Hair) and Hollywood glam style makeup (Makeup by Kas) to our model’s attire (The Bridal and Tuxedo House) and flowers (the Wild Orchid). 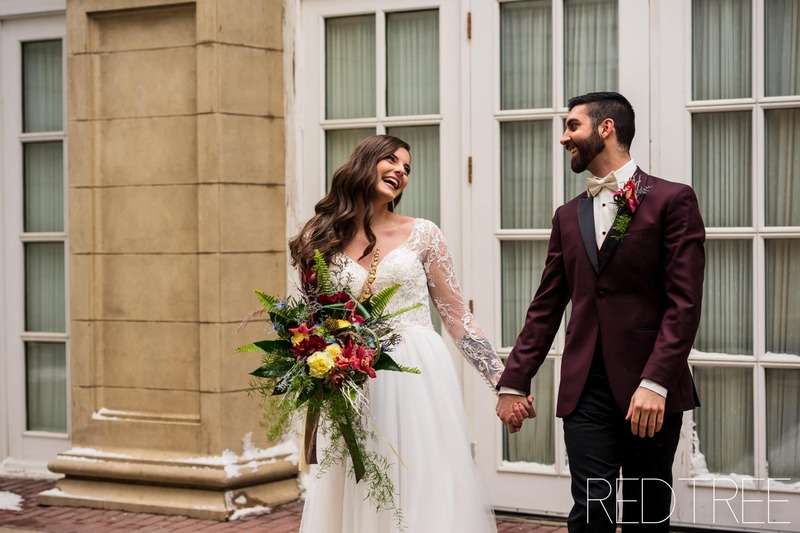 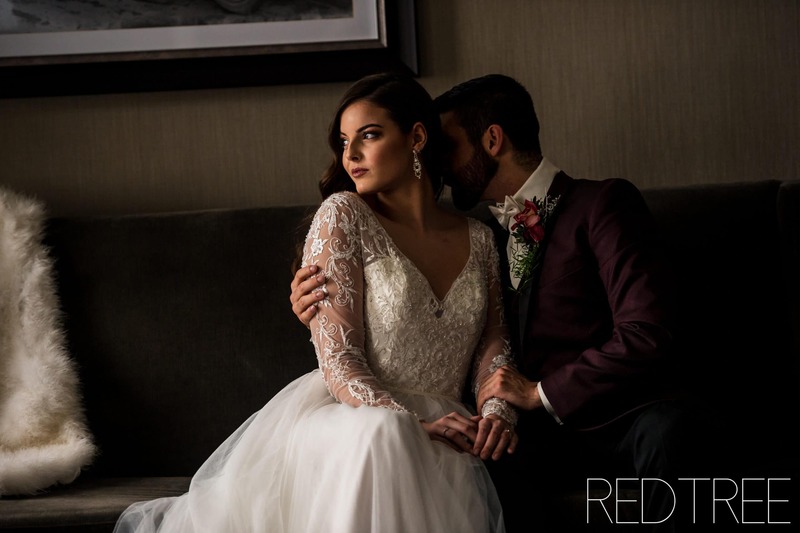 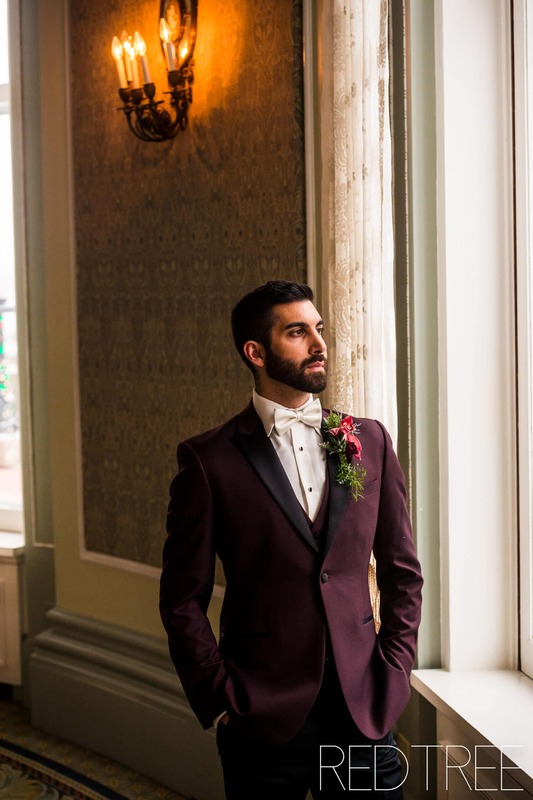 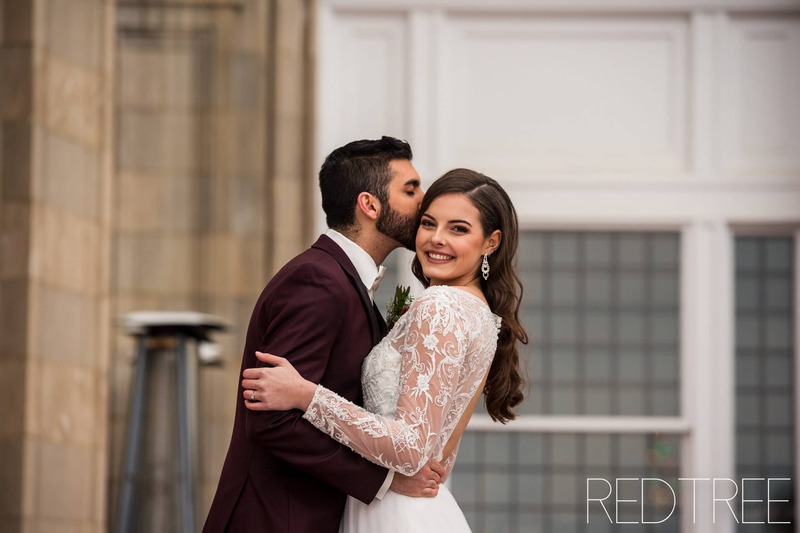 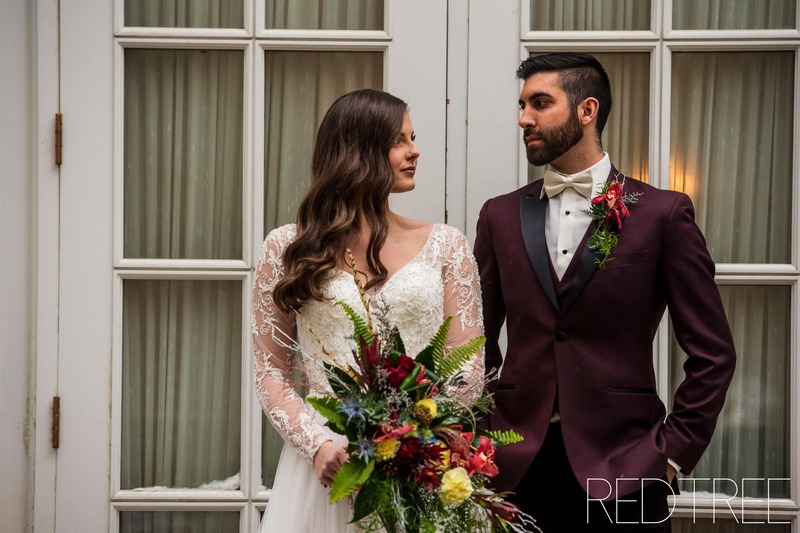 We chose a burgundy tuxedo (Ike Behar) for our Groom (Justin Marin) and a long sleeve lace winter gown (Leanne by Mori Lee) in ivory. 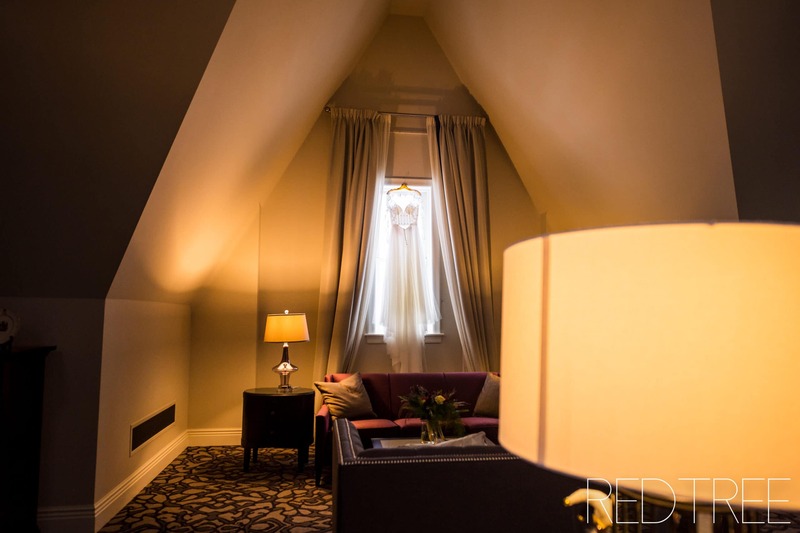 The “getting ready” room was actually named after Queen Elizabeth; she stayed there during Alberta’s Centennial. 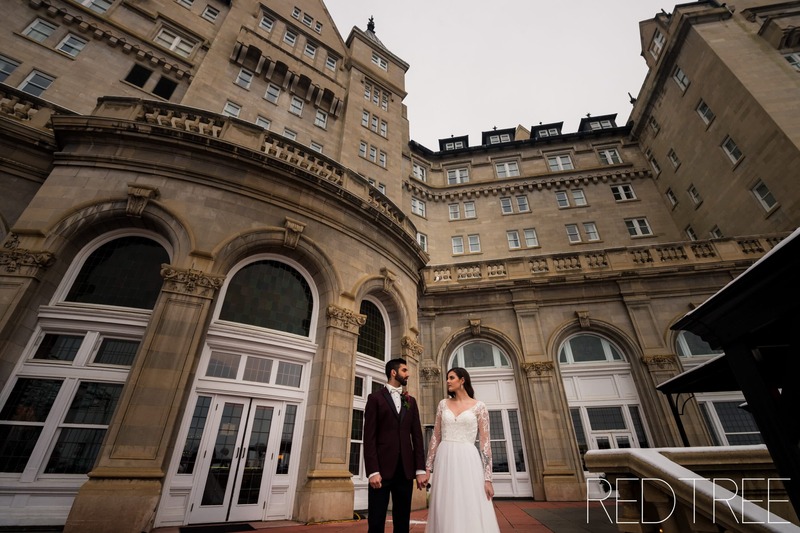 We spent most of the day indoors, exploring the different ballrooms and indoor photo spots that the hotel had to offer. 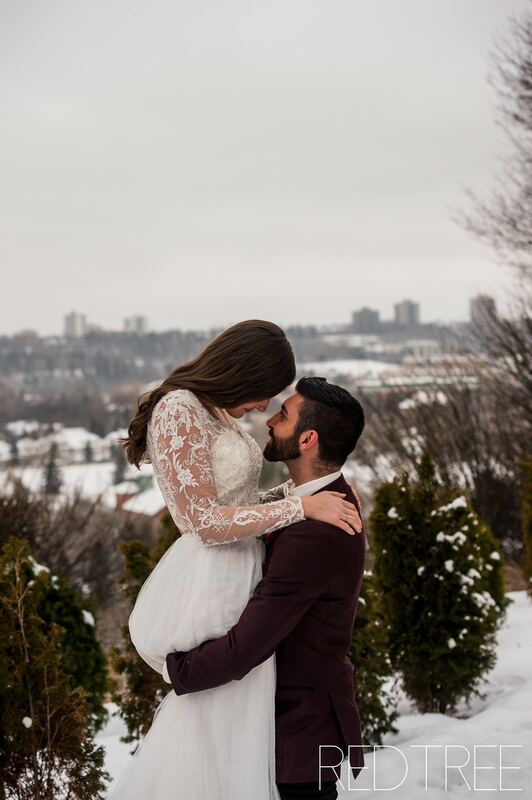 Nearing the end of the day, we made our way outside for some images in front of the hotel as well as in the back gardens overlooking the city of Edmonton.